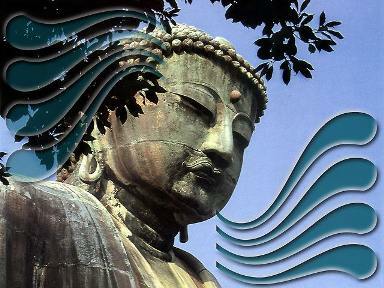 The Daibutsu Japan national treasure (the only one in Kamakura), was produced in 1252, and weighs 93 tons. Originally it was housed in a great hall, but this hall was subsequently destroyed by earthquakes and tidal waves. Descriptions of the hall appeared in ancient books, including "Azuma Kagami," a history book compiled in the Kamakura period (1192-1333). Archeologists also have determined that the hall was smaller than the Buddha hall in Todaiji temple in Nara. 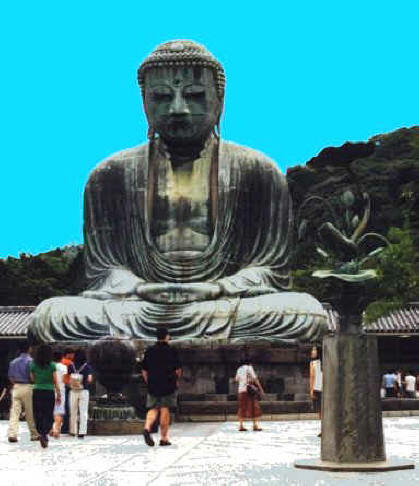 The Kamakura municipal government began researching the site in August with a view to having the temple designated as a World Heritage site by UNESCO. So far, archeologists have excavated four sites around the statue with a total area of about 230 square meters. They have so far uncovered the remains of two foundation holes, each about three meters in diameter, located about 20 meters southwest of the statue. Solidified soil that could have supported the foundations of columns was found in the holes. Clay and rocks were placed in alternating layers to a depth of 1.8 meters in the holes to make a solid base. Judging from the distance between the holes and the statue, the hall is estimated to have been 44 meters wide, almost 40 meters long and more than 20 meters high. It was about 13 meters smaller both in width and length than the hall of the Buddha statue in Nara and was about half as high.